Mind and the English Football League (EFL) have joined forces, and we need you on our team! 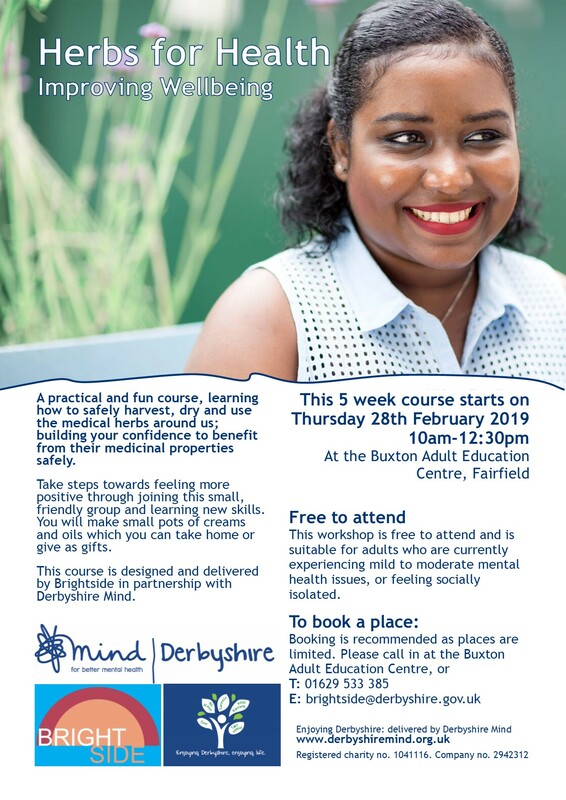 A practical and fun course, learning how to safely harvest, dry and use the medical herbs around us; building your confidence to benefit from their medical properties safely. Take steps towards feeling more positive through joining this small, friendly group and learning new skills. You will make small pots of creams and oils which you can take home or give as gifts. 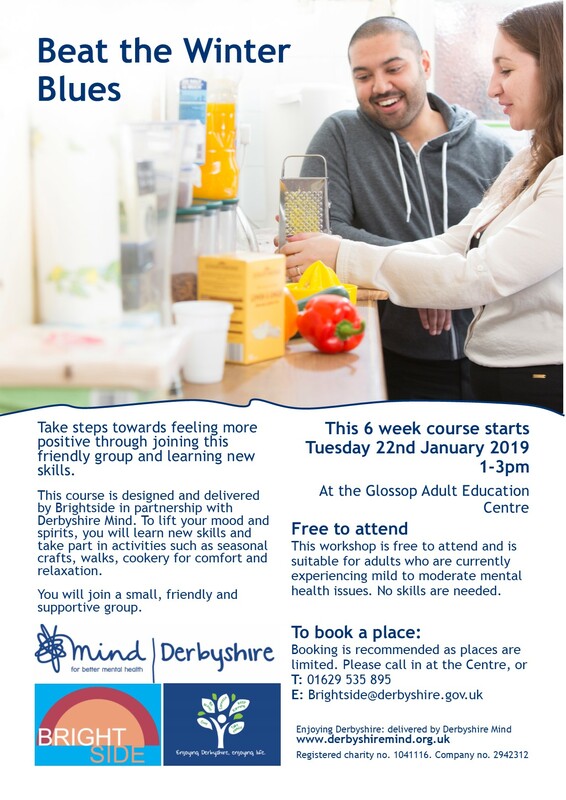 This workshop is free to attend and is suitable for adults who are currently experiencing mild to moderate mental health issues, or feeling socially isolated. You will develop helpful strategies including communication techniques, decision-making and resilience. Your tutor will support you to develop your confidence and self-esteem, making you better able to relax and take on life. You will join a small, friendly and supportive group, with support from a tutor who will support you and give you feedback to help you asses your own progress. 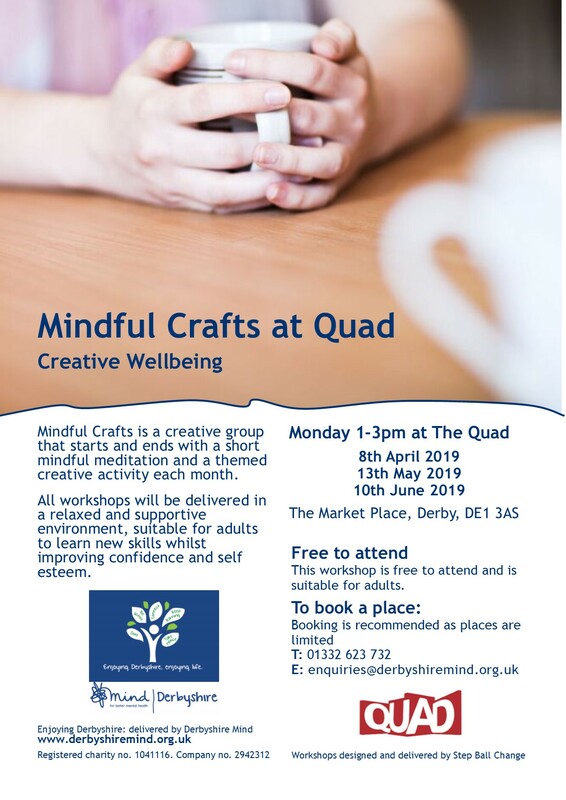 To lift your mood and spirits, you will learn new skills and take part in activities such as seasonal crafts, walks, cookery for comfort and relaxation. 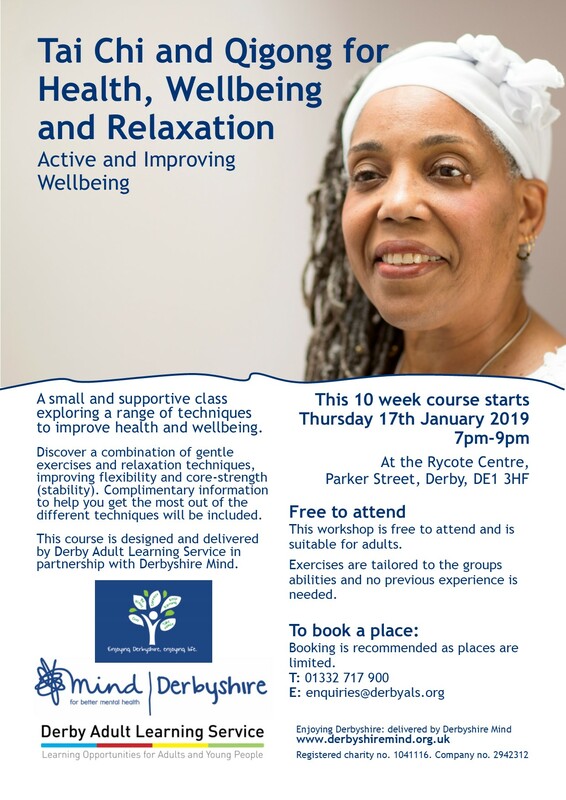 You will join a small, friendly and supportive group taking steps towards feeling more positive and learning new skills. 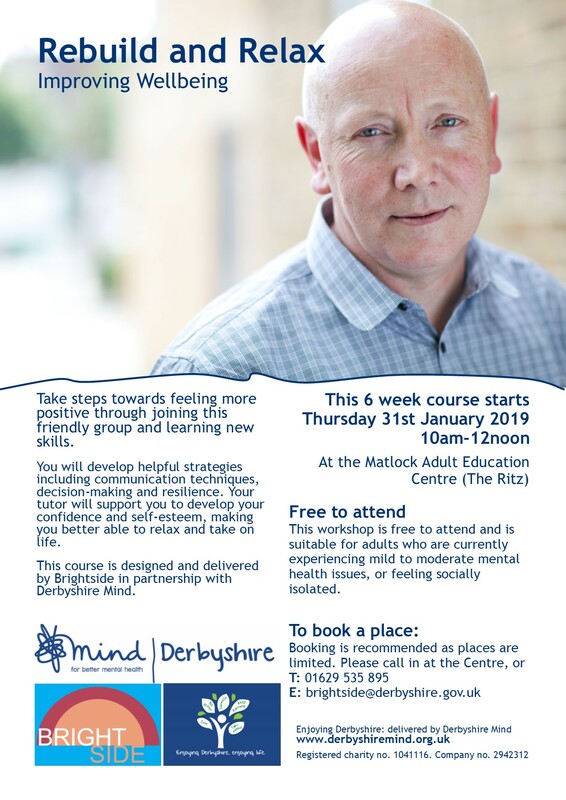 This course is designed and delivered by Brightside in partnership with Derbyshire Mind. Ryan Cooper is cycling 1066 miles from Land’s End to John O’Groats to raise money for mental health charity Derbyshire Mind. Ryan will be supported throughout the ride by mum Monica and brother Gavin, who will be completing the journey alongside him in the ‘TEAM ry support car’, which has been designed and produced free of charge by OMG Signs of Little Eaton. We are accepting donations until 10th November 2018. Visit twitter.com/teamrychallenge for regular updates. 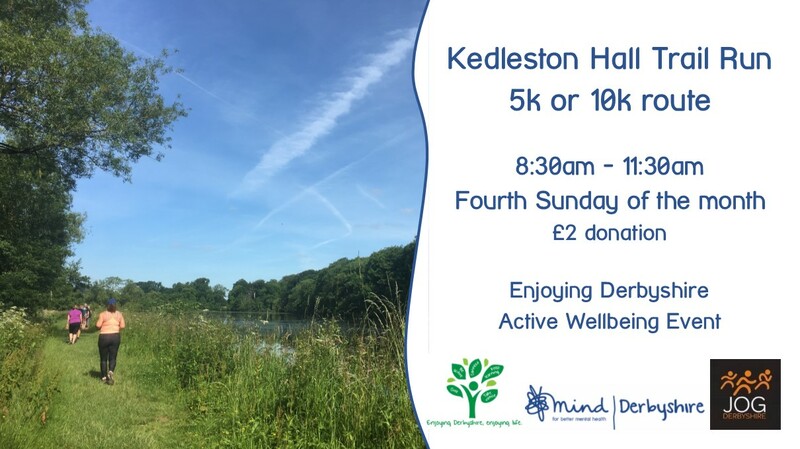 Join us for a friendly jog or walk around the beautiful Kedleston Hall estate. This isn’t a competitive race and suitable for beginners and those looking for a challenge can still push themselves on the longer route. The day starts with registration and warm up, and ends with a 20% discount voucher for the café for the chance to chat with fellow participants – yum! 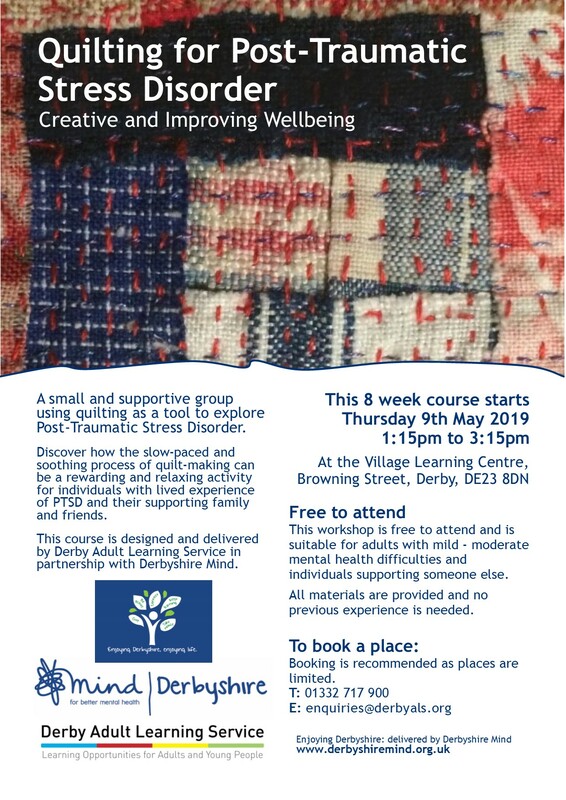 This monthly event is organised by Jog Derbyshire and managed by volunteers. Dogs welcome. Parking for the race is free as it is before the Hall opens to visitors. To find out more about jogging or how to get started click here.